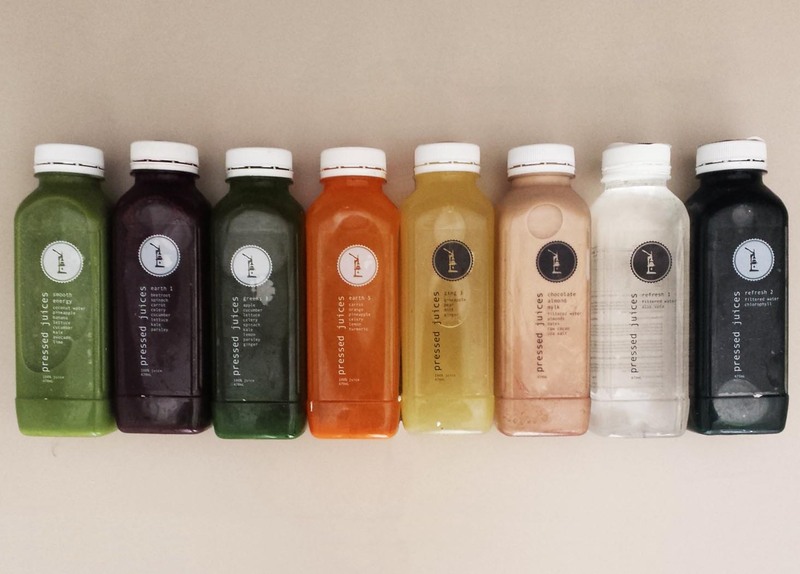 Juice cleansing seems to be growing in popularity, well at least I sure thought it was a good idea because I signed up for one at Pressed Juices! I did hesitate for a while first though, wondering whether I could last a few days without food and living purely on greens and juices. Alas I was convinced by some online research and the flavours which actually seemed quite nice. Juice cleanses aim to detox your body from unhealthy, fatty or processed food in hopes of promoting healthier eating habits and providing other benefits. 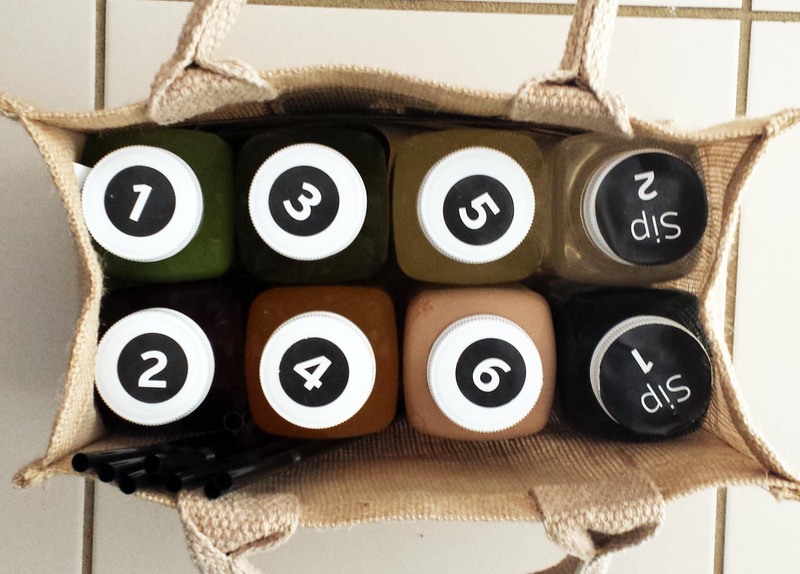 I undertook the basic three day cleanse, eight bottles each day. The lady that worked there was very helpful in choosing the right juices for me, ones that I would have to enjoy for three whole days! 1) Smooth energy – avocado, banana, coconut water, kale, cucumber, lime, mesclun, pineapple. This was my breakfast. I absolutely loved this drink despite not really enjoying cucumber normally. The ingredients listed are practically it, no added sugar, nothing. It kept me feeling energised throughout the morning – who needs coffee when you have this! 2) Earth 1 – beetroot, carrot, celery, cucumber, kale, lettuce, parsley, spinach. I have to say this was my least favourite. There’s nothing wrong with this drink, but just a personal preference as I’m not a fan of beetroot. I love eating it but drinking it was a different story. The second and third day I actually exchanged this with added ginger for a stronger taste which was slightly more enjoyable. 3) Green 6 – apple, celery, cucumber, ginger, kale, lemon, lettuce, parsley, spinach. My very green lunch. The ginger was really overpowering, I literally could only taste ginger. But I still enjoyed it and by this time of day, I could slowly feel my body to start cleanse. You would know what I’m talking about when you start trying it! However on the second and third day, I exchanged this one for the one without the added ginger as it was too strong. 4) Earth 5 – carrot, orange, pineapple, celery, lemon, turmeric. Slightly different from the beetroot earth, this is a more fruity one. It tasted pretty much like orange juice but lighter, I really enjoyed this one as well. 5) Zing 3 – pineapple ginger mint pear. This I drank for afternoon tea, a very refreshing drink that kept me energised at work. This is my second favourite as I’m a fan of fruity drinks. The lady from Pressed Juices also mentioned this was the most popular zing drink and I realised why. 6) Chocolate almond mylk – almonds, cacao, dates, filtered water, sea salt. I’ve never liked almonds but this was my most favourite and anticipated drink of the day. I guess the key reason was because of CHOCOLATE. Why cleanse if you’re drinking chocolate drinks? Well, you need a drink that you’ll love, enjoy and keeps you filled up until next morning breakfast. Sip 1) Refresh 1 – Filtered water and chlorophyll. I sipped these in between my juices so you wouldn’t have an after taste lingering, I wasn’t a fan of the minty taste. Sip 2) Refresh 2 – Filtered water and aloe vera. Again, I sipped these between my juices. I’ve never had aloe vera in water except for the sugary drinks. There’s a sourish taste to it but you’ll find these are life savers when drinking the beetroot earth drink, at least to me. 🙂 I would buy this as a replacement of bottled water. 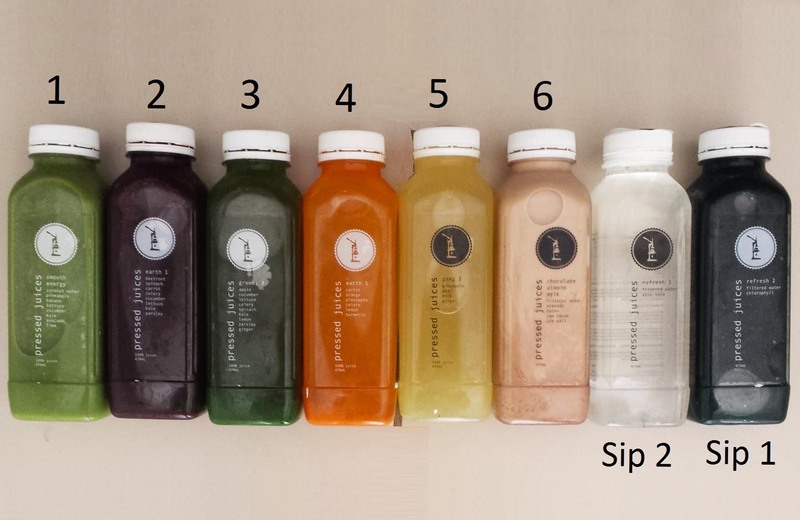 I had each juice in gaps of 2 hours. I read that some people felt really exhausted and tired by second day, however I was still energised and pretty normal throughout the cleanse. By my third day, my body felt super light and totally refreshed. It has been tempting to eat at times but my body starting to reject the cravings. I’m quite proud to have lasted three days without food despite my foodie role! Since finishing, I do feel like I’ve eaten less and note these cleanses aren’t designed to lose weight immediately at all. I’m actually still buying the greens and smoothies at times, and I’m aiming to have them once a week when I have time to visit as the closest Pressed Juices is a bit far from my office! I wish I could afford to do a cleanse!!! I love the sound of the smooth energy! I don’t think I could last a week though, and agree re: minty taste of chlorophyll – it always makes me want to gag! Really tempted to try this cleansing diet… but I wouldn’t be able to last three days without eating anything!!!!!! !